The men of Kappa Alpha Psi Fraternity, Inc. are dedicated to “training for leadership”, and Brain Richardson Jr.’s work with young men in Indiana is a perfect example of this. Brian, a fall 2010 initiate of the fraternity and the current assistant director of diversity and inclusion at the Indiana University School of Public Health-Bloomington, has created an amazing program that focuses on leadership development for young men of color in the fourth through sixth grade. His program, The Krimson Leadership Academy, meets weekly with young men at nearby Fairview Elementary School and exposes them to effective leadership strategies, providing them with mentoring opportunities during early developmental stages of manhood. “Through a mixture of age appropriate analysis and discussions, activities, article clips, videos, and references to popular pop culture media, this group explores the implications of identity development at an early age,” the program describes itself. According to a write up about the purpose of the program, its aim is to counteract the negative images and media that young men in America face every day. Richardson receives help from the local chapter of Kappa Alpha Psi at Indiana University who show up as mentors for the young men. 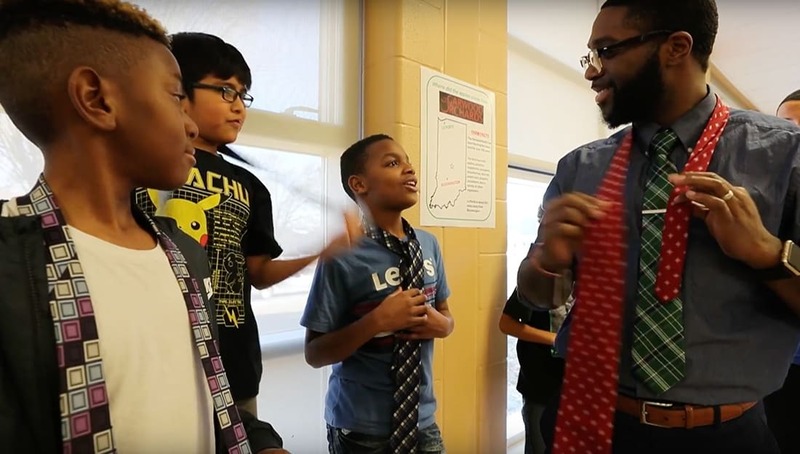 Check out this amazing video made by Indiana University that shows the program and highlights how Brian along with undergraduate members of Kappa Alpha Psi are working to positively impact these young men’s lives and trajectories.